There is plenty to decide on before buying that furnace or air conditioning... here are some items you should be aware of. THE DEALER: A referral or prior good experience is the best source of a good heating or air conditioning company. Ask around to see what your friends, family and neighbors have experienced. If the feedback is good and they had good results with the contractor it is a good indication that you will have a good experience too, this is especially true if they personally know them, they will be working in a similar situation. Many contractors out there are careless or hired bad installers or service technicians. The cheapest contractor is probably not the best. There are tight margins on installing and repairing HVAC (Heating Ventilation and AC) equipment so you need to ask yourself, what shortcuts (and there are many) will be taken with the installation of new equipment that makes it possible for the low cost contractor to be able to offer it at such a low price. Unfortunately, homeowners don't understand and do not have access to see attic, basement or other hidden areas in their homes and do not know when there has been a short cut. Issues like sizing, brand, efficiency, installation methodology, etc. - play an important role in the operation and comfort of the system. THE BRAND: Choosing the brand is probably the toughest portion to navigate. Most brands are similar, but some are definitely high end, some middle of the road yet others are low end. Unfortunately, the price or warranty may not reveal the quality. Ask the contractor why they use the brands that they offer. Cold Craft, Inc. chooses their brands for quality, innovation, reliability and local support; after all Cold Craft will be the company servicing them under warranty. Cold Craft uses a variety of brands, including corporations (Lennox) and family owned or smaller groups such as Sigler – Carrier; or Slakey – Bryant. There is one requirement however, they have above average support. It is important to note that if the system is properly sized and installed, the brand is less critical and the equipment should be just fine. THE SIZE: Most existing equipment is oversized especially for the milder temperatures in the San Francisco Bay Area. In the past people thought that bigger is better. Unfortunately the oversized furnace cycles constantly and is not efficient. What’s worse is the oversized furnace does not provide a comfortable even temperature in the home and the constant cycling wears out the equipment at a faster rate. The furnace in most homes is the piece of equipment that cycles the air for both heating and air conditioning, both of these factors need to be considered when sizing the furnace. What may be robust enough for heating may not be for cooling. Aside from determining if there is heating and cooling there are several factors that can affect the sizing. These include square footage, ceiling height, shade and direct sunlight as well as insulation and the sealing of the home (also known as seal the envelope), this would include anything that affects heat entering and/or leaving your house. It is interesting to note that many residents after ‘sealing the home’ following the BPI standards they find that they have an oversized furnace. HOW ABOUT EFFICIENCY: In many cases especially here in California, residents purchase higher efficiency furnaces and air conditioners for personal reasons, to reduce their carbon footprint, reduce their energy usage (and cost) and because they believe it is the right thing to do. As far as a return on investment the more efficient units will not see an immediate return unless the unit being replaced was very inefficient. Of course the local fuel rates, type of fuel (such as propane) and how long you are going to be in the house all affect return on investment. The lowest available efficiency furnace is the standard efficiency which is 80% efficient (also known as 80% AFUE) or for air conditioners it is 13 SEER (stands for Seasonal Energy Efficiency Rating). In many cases this is already much more efficient than the current equipment and will show a decrease in energy usage and cost. High efficient A/C or 90+% efficient furnaces won't pay you back in utility savings quickly but fuel rates seem to be climbing and if that continues or a more expensive fuel like propane is used, the payback can be much quicker. 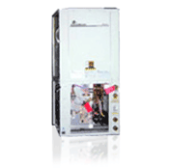 In some areas, utilities offer rebates if you do buy higher efficiency unit which really helps on the extra price. In addition there are federal tax credits (check with your tax advisor for availability and qualifications) and specific county or state programs. The contractor you choose should help you with the paperwork needed for these programs. Depending on the incentives the price can be greatly reduced. PICK A REFRIGERANT: Not too long ago a great refrigerant (R22) was used for home air conditioners. The trouble is the chlorine content in the HCFC, (hydro chlorofluro carbon) could cause damage to the ozone layer. 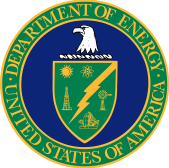 As of 2010, a new law stated that all units made have to utilize a chemical with no chlorine, which is an HFC. Now new models are made use R410a, it both works well and it is efficient. 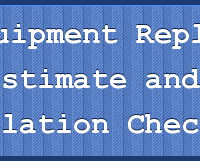 Be careful when comparing quotes that you are comparing the new refrigerant model to the same because some dealers may be offering a leftover model or a model that will be obsolete sooner. Because the R22 production will be facing cutbacks as the decade continues its price will be rising. Don’t get stuck with an air conditioning system that you can’t replenish or have problems finding parts for. 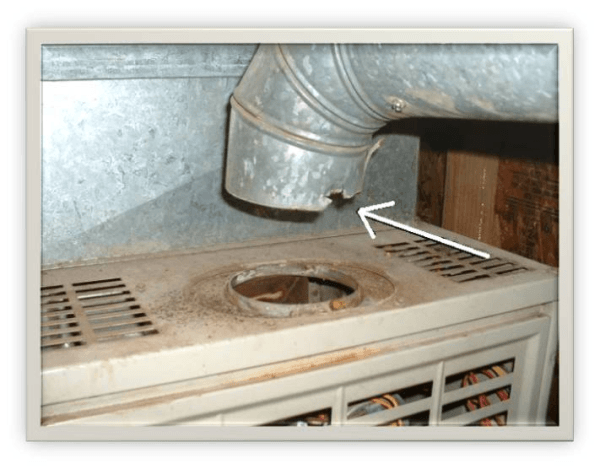 SWAP THAT COIL: If you have air conditioning there is a strong likelihood that it works in conjunction with your furnace and it has a cooling coil. This coil is found attached to your furnace either sitting above, in or below your furnace. It should be matched to your condensing unit outside. Make sure both of these are replaced if you are replacing your air conditioning system. This should be a new, matched cooling coil that is capable of handling the same refrigerant as the outside condensing unit. There have been cases where contractors just replace the outside unit. You will experience problems with this especially with the energy efficiency – like the minimum standard efficient 13 SEER units. Not replacing this coil makes the unit less efficient, reduces capacity, reduces the life of your system and costs more to operate. It’s important to cut expenses somewhere else not swapping the coil can cost you in the long run. THE FLUE: A standard efficient furnace (80% efficient furnace) uses a metal flue, if you have a standard efficient unit already it is likely the same type of flue. The high efficient furnace (90+% efficient furnace) is different and cannot use this flue because of the amount of condensation from the high efficient furnace will damage (rust and corrode) metal. The newer furnace has much cooler & moister exhaust than the old inefficient unit you are replacing. This new 90+% furnace will require a PVC flue. DUAL FUEL: A Hybrid System may be for you if you are concerned with the cost of fossil fuels increasing; electric rates often are still affordable. There is a new trend and that is to purchase a dual fuel unit. This is when you use your gas but in conjunction with an outdoor heat pump. 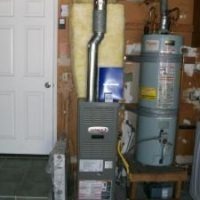 Heat pumps can be very cheap heat. These are useful when it doesn’t get too cold in the area where they are installed. When the outside temperature drops below freezing the heat pump will need additional help heating – this can be through electric heat strips or another fuel source like natural gas/propane. You can also combine this system with solar. These dual fuel units use a special thermostat or a dual fuel kit to provide the interface between the heat pump and furnace. When installed a temperature is selected for the furnace to kick in and provide the heating for the home. This is an automatic process and it occurs when the outdoor temperature drops to that predetermined temperature. HOW OLD IS YOUR EQUIPMENT? : It is important to know how old your equipment is because older equipment is less energy efficient, more likely to have safety issues such as Carbon Monoxide poisoning issues, flame roll out and/or gas leaks. The local utility in the San Francisco Bay Area (PG&E) suggests considering replacement at 15 years old. 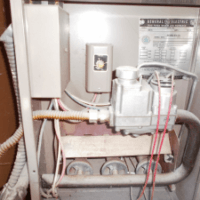 Aside from the safety issues, if your furnace is older than 15 years you are facing looming repair bills and potential unreliable heat or air conditioning from your equipment. 4 Things You Need to Know Before You Replace that Broken Furnace. Residential Heating – Replace for Safety/Efficiency or Roll the Dice? Looking to be Energy Efficient? Look First at Your Furnace. Want to Save Over 45% More Energy Than Standard HVAC Options?